JSTARC-Gujarat celebrated ‘International Yoga Day 2018’ in a unique way. 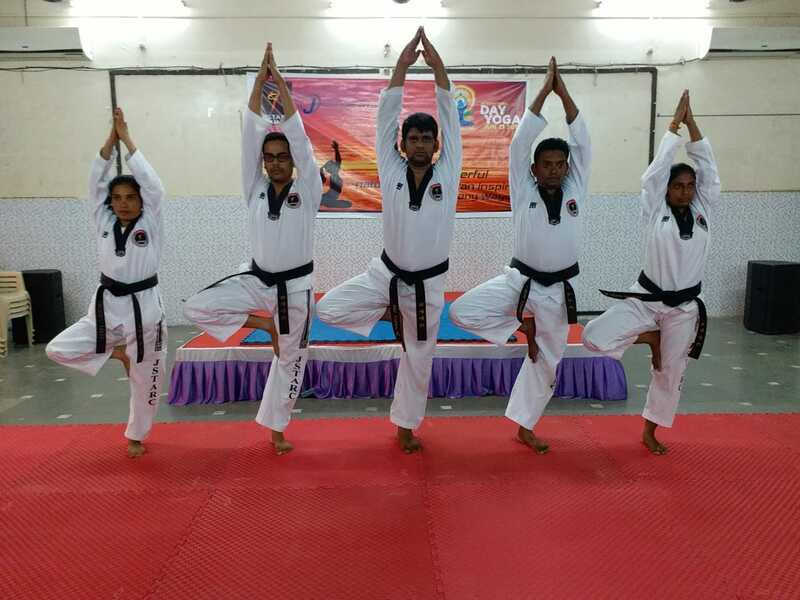 They wore Taekwondo uniform while practising various Yogasanas. More than 80+ participant from the age group of 5-60 years participated in this special ‘Yoga Day Session’. Master Paresh Patel and his entire team at JSTARC Gujarat demonstrated various yogic asanas and the participants followed them to perform the same. It was a very useful session for all the participants.